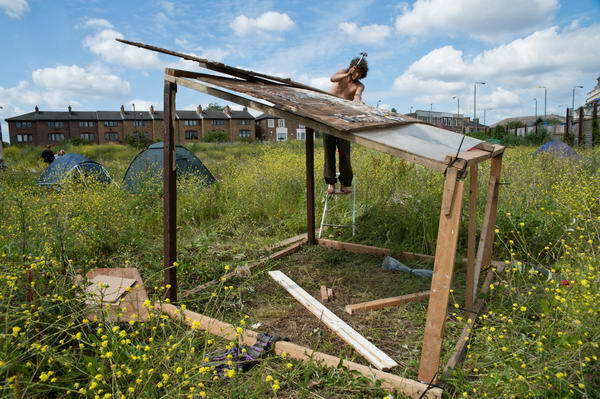 On Saturday 6 June, a group of activists occupied a site next to Kew Bridge that had been empty for more than 20 years, intending to develop it as a community resource. The action was very much inspired by the 1996 ‘The Land is Ours’ action in Wandsworth, where a site owned by Guinness was occupied for five and a half months before the eviction. Land is a scarce resource, particularly in urban areas, and land rights campaigners argue that it should be used for the good of all, not simply for the profits of landowners. Local communities should have a much greater role in planning, and where owners fail to live up to their obligations to use land responsibly they should lose their rights. Legally UK local autorities have quite extensive powers to “remedy the condition of land”, including the issue of notices under Section 215 of the Town and Country Planning Act, 1990 and compulsory purchase, but seldom make use of them. The site at Kew Bridge has been derelict for over 20 years, being simply used by its owners as an appreciating asset as land prices have risen. LB Hounslow has failed to take effective action. A year or two ago the current owners submitted a very extensive mixed development for planning permission which was rejected and are making a further submission which Hounslow are in process of approving. It seems astonishing that while the rejected proposal included affordable housing, there is none at all in the latest proposal. However the current fall in housing prices probably makes imminent development unlikely even if permission is granted. The site appears to have been left to grow wild by its owners, with some dumping of materials in parts of it. The large fence around its perimeter creates an empty eyesore in an extremely desirable and visible riverside site, next to Kew Bridge, part of London’s South Circular Road. The site is also a few yards from a railway station and on several bus routes, and not far from the Great West Road and M4. The occupiers intend to use the site productively, growing vegetables and providing workshops and meeting spaces for the local community. Local people have brought materials for building and plants and helped in clearing the site and constructing some simple buildings on it. 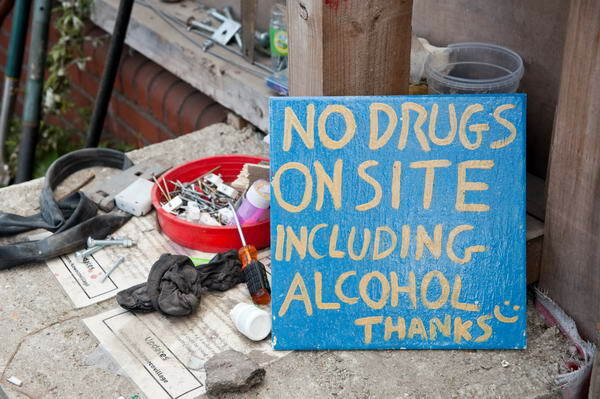 The site welcomes visitors warmly but wants to be a good neighbour and has banned amplified music and enforces a strict policy against alcohol or drugs on the site. 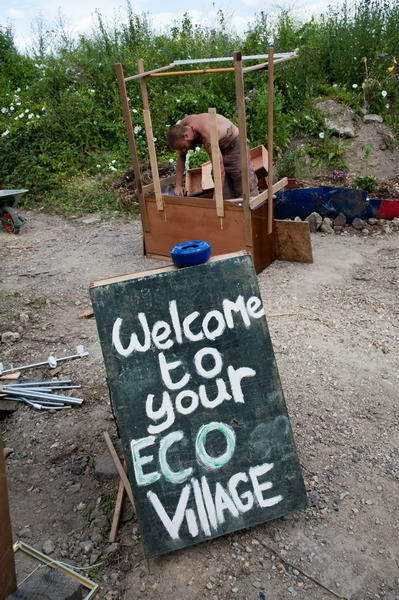 Last weekend the Eco Village/Brentford Community Garden had a solstice open weekend with activities including face painting, music, picnic area and childrens workshops, and I dropped in at the end of the day to take some pictures. Already the site has been considerably improved. This entry was posted on Wednesday, June 24th, 2009 at 10:47 pm and is filed under My Own Work, Political Issues. You can follow any responses to this entry through the RSS 2.0 feed. You can leave a response, or trackback from your own site.